Obituary – Jones, Edward Worth. 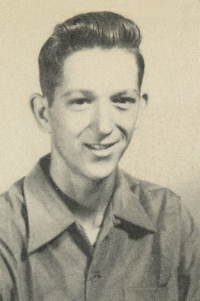 « Perry High School Alumni Association, Inc.
Obituary – Jones, Edward Worth. Wrestling 50-53; Band 51-54; D. E. Club 53-54. 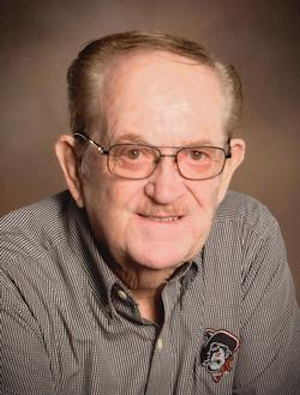 Long time Ponca City resident, Edward Worth Jones, went to be with the Lord on Thursday, April 13, 2017 at the Oklahoma Heart Hospital South in Oklahoma City. He was 80 years old. Ed was born on September 23, 1936 in Perry, Oklahoma, to John Wright (J.W.) and Gertrude (Marshall) Jones. At the young age of 18 months old, Ed was sent to live with his aunt and uncle (Buck and Marcella Johnson) in Lucien. He graduated from Perry High School in 1954. After graduation, Ed attended Oklahoma A&M (now OSU), where he was a member of the Alpha Tau Omega (ATO) fraternity. Ed traveled all over the United States working for Haliburton. While working for Haliburton, Ed completed his education with a degree in Business Administration from OSU in 1961. Ed continued to work in the oilfield industry until 1969 when he started his own construction company–Jones Construction Company. In 1978, the company became Jones Service Company, Inc., having contracts with Conoco and other refineries in Oklahoma, Texas, and Mississippi. Jones Service Company, Inc. was sold in 1993. Ed did consulting work until his retirement in 1999. Ed had a passion for aviation. He had his pilot’s license and flew for over 58 years. He enjoyed and built numerous experimental aircrafts. He belonged to the Ponca City Aviation Booster Club and was also a member of the Experimental Aviation Association (EAA). In his spare time, Ed loved to fish, play golf, hunt, and spend time with his children and grandchildren. On April 3, 1971, Ed married Lana Holman at the First Presbyterian Church in Winfield, Kansas. They made their home in Ponca City. They were long time members of St. Paul’s United Methodist Church. Ed and Lana recently celebrated 46 wonderful years of marriage. Ed is survived by his wife, Lana, and four daughters: Cheri Jenkins of Enid, Tina Perry of Fredricksburg, VA, Teresa Stout of Crescent, and Tori Lamrouex and husband, Keith of Morrison. Ed is also survived by his sister, Marcia Marshall and husband, Richard of Tulsa, sister, Paula Halstead and husband, Gary of Bella Vista, AR, and his brother, Ben Davis and wife, Deb of Luther. Ed leaves behind ten grandchildren: James London and wife, Kelly, Samuel London and wife, Harmony, Kaitlyn Perry, Rebecca Perry, Keaton Perry, Tadra Moone and husband, Tim, Haleigh Stout, Skylar Stout, Jarad Frisk, and Tynli Nickell, as well as seven great-grandchildren. Ed was preceded in death by his parents, his aunt and uncle, and his youngest brother, Matt Davis. Friends and family may pay their respects at Trout Funeral Home & Crematory. Ed will be available for viewing on Sunday, April 16, 2017 from 1:00 p.m. to 8:00 p.m. and on Monday, April 17, 2017 from 8:00 a.m. to 8:00 p.m. Ed’s family will be available to greet friends at the funeral home on Monday from 6:00 p.m. to 8:00 p.m.
A celebration of life will be held at St. Paul’s United Methodist Church in Ponca City at 2:00 p.m. on Tuesday, April 18, 2017 with Reverend Cindy Robertson-Riedel and Reverend/Doctor Robert Montgomery presiding. Burial will immediately follow the service at Resthaven Memorial Park. Serving as pall bearers will be: Don Nuzum, Joe Harris, John Hudson, James London, Jarad Frisk, and Skylar Stout. Keaton Perry and Samuel London will serve as honorary pall bearers.